Yesterday was Holocaust Memorial day. A sombre occasion to remember the millions of Jews and other persecuted individuals who were savagely murdered in the Nazi death camps. To anyone with an ounce of humanity the atrocities of the Holocaust remain one of the greatest stains on the human soul. It stands as an example of the extreme barbarity human beings can sink to when hatred is allowed to flourish in a society. It is not the only time in world history where innocent people (people from many different faiths and races) have been subjected to the evil of genocide but it does remain one of the most documented in modern times. The historical evidence for the Holocaust and some of the best refuting evidence for the denial lies can be found on the Jewish Virtual Library. This provides comprehensive background to the atrocity and debunks many of the myths. Historians (with the exception of the criminal Irving) agree the Holocaust took place. The law agrees the Holocaust took place. So my question is this – As Six Million Jews and up to Twelve Million other individuals were murdered in cold blood by the failed Nazi regime why the hell is Twitter allowing the hashtag #Holohoax to trend on Holocaust Memorial day? 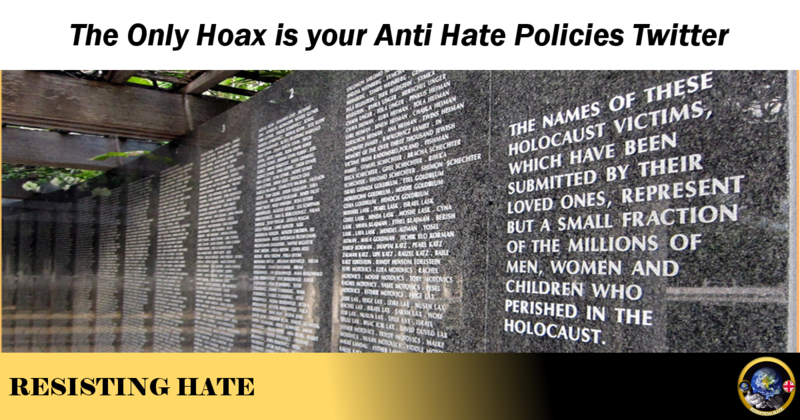 The word ‘holohoax’ is commonly used by Neo Nazis and far right keyboard warriors to generate doubt about the factual truth of the Holocaust and also to mock the survivors and those who lost family members in the death camps. 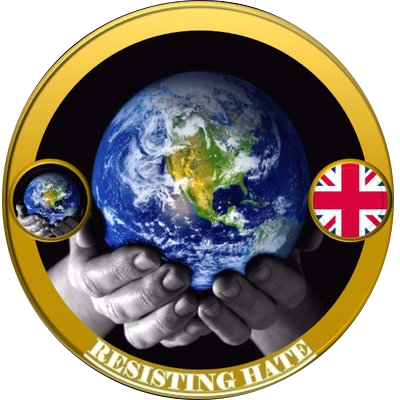 Over the course of yesterday our group Resisting Hate have seen hundreds of tweets on this trending hashtag that have caused great distress – in particular to the Jewish community as many of these tweets have been Anti-Semitic in the extreme. To give a particularly vile example – one individual had a graphic picture of a deceased elderly victim of the death camps. He was sending this to Jewish Twitter users with mocking comments about how their dead relatives would have looked in the death camps. Another was posting sick and gleeful speculation regarding the allegation that the skin of Holocaust victims suffering under Ilse Koch was made into lampshades. 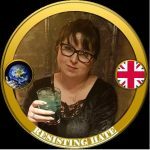 Many, many more were denying the Holocaust happened, insulting the survivors, joking that ‘The Jews deserved it,’ ‘Hitler didn’t go far enough’ and ‘We need another one for the Muslims.’ Although ourselves and other Anti Hate groups have managed to get some of these hate accounts suspended, the evidence of this mass hatred can still clearly be seen on the hash tag. So on this day of extreme significance to the Jewish communities and, indeed to anybody who believes in the sanctity of human life and freedom for people to be true to their beliefs and values without fear of persecution, Twitter allowed this rallying point for the far right to continue unhindered. They enabled hundreds of Neo Nazis to find one another and to endorse their shared and shameful views. Twitter watched venomous lies and hate reach a wide international audience and took no preventative action whatsoever to shut down the #holohoax hash tag. I know Twitter can censor hash tags because they have done it in the past. They censored the #PodestaEmails hashtag and they censored the #DNCLeaks hash tag . There was also credible speculation that Twitter censored key LGBT terms. Yet they did not believe a hash tag gleefully celebrating the genocide of millions of people was worth censoring. That one they left to cause as much damage as possible. The only ‘hoax’ over this weekend is the so called fighting hate stance that Twitter put out to boost their own publicity. When it comes down to it they care nothing for fighting hate. They had a real opportunity yesterday to prove they are committed to preventing Nazi hate on their platform. They screwed it up royally, yet again. Thank you so much for this piece. I’m HORRIFIED by the large uptick in *virulant* antisemitism/Holocaust -denial—certainly in the US, but also in the UK. I am *very* grateful that family members—particularly my grandmother, who faced persecution in Europe—are no longer alive to witness this new generation of hate.